The 1855 Johnson County Poor Farm, is a window on nineteenth century definitions and policy dealing with perceived social problems. The need to care for the poor or mentally ill had been established in the United States in the 1820’s as a duty of the state and local governments. This duty was recognized early in Johnson county history. The County chose first to contract care usually from local physicians. In 1855, the Johnson County supervisors decided to procure 160 acres on the edge of Iowa City for a “poor farm” to provide systematic care with economy. The early care of the poor and mentally ill was crude by modern standards, reflecting the prevailing attitude that fresh air and work would be good for these “poor unfortunates”. From the earliest days, “inmates” were expected to do farm chores to the extent of their abilities. The farm was to be self-supporting and the labor of the inmates would help compensate the county for their care. Crop farming and dairy production were primary functions of the farm until the 1960's. 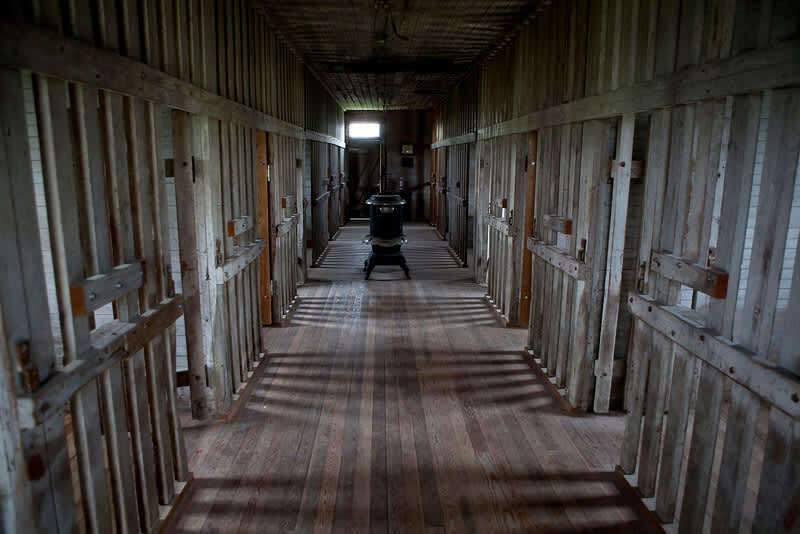 Today the early twentieth century milking barn, a late nineteenth century hay/horse barn, five smaller buildings, the “insane” wing, and the cemetery survive. The 1859 “First Johnson County Asylum” wing is restored and listed on the national Register of Historic Places. Though unused for many years, the buildings and acreage have received basic maintenance and many of the original features are intact including a brick cistern outside the horse barn. A unique stock watering system is still in place inside the smaller buildings and the milking barn still has its equipment, stanchions, feed boxes, separating room, cooler and silo. The Johnson County Poor Farm site is important to Iowa’s history, telling the story of the county’s care for it’s citizens from the earliest days until today. The county’s first facility is the asylum and a few hundred feet to the east is the county’s most recent facility, Chatham Oakes built in 1964. (now privatized). Each county in Iowa had a poor farm and the tradition is well represented by the Johnson county farm, which may well be the only remaining intact example.